The Indian economy will expand at a rate of 7.3 per cent this fiscal year thereby retaining its record as the world's fastest-growing major economy, according to the International Monetary Fund (IMF)'s World Economic Outlook report released on Tuesday. The outlook report said that India's growth is "supported by the continued recovery of investment and robust consumption amid a more expansionary stance of monetary policy and some expected impetus from fiscal policy". 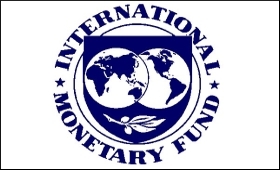 The IMF had cut the growth projection for this year by 0.2 per cent from the 7.5 per cent made in January, but still it is higher than last year's growth of 7.1 per cent and is projected to increase to 7.5 per cent next year, though lower than the earlier 7.7 projection. The Outlook said the cuts reflect "the recent revision to the national account statistics that indicated somewhat softer underlying momentum". Over the medium term, India's growth is expected to stabilise at just under 7.75 per cent "based on continued implementation of structural reforms and easing of infrastructure bottlenecks", it said. The report noted that "important steps have been taken to strengthen financial sector balance sheets, including through accelerated resolution of nonperforming assets under a simplified bankruptcy framework". India, however, remains a bright spot in a global economy, whose growth is expected to be only 3.3 per cent this year, down from last year's 3.6 per cent, but expected to reach that figure next year. The IMF growth figures for India are slightly higher than those of the Asian Development Bank (ADB)'s outlook report released last Wednesday. The ADB said that India's growth will tick up from 7 per cent last year to 7.2 per cent this year and 7.3 per cent next year fuelled by stronger consumption. "The recovery in agriculture and stronger domestic demand, with reform having strengthened the health of banks and corporations" and the domestic firms and products becoming more competitive following the implementation of a value-added tax, will all help the growth, it said. According to the IMF's outlook report, China is on a low growth trajectory as its economy matures: it grew by 6.6 per cent last year and is projected to slow down to 6.3 per cent this year and 6.1 next year. The report said: "Following a broad-based upswing in cyclical growth that lasted nearly two years, the global economic expansion decelerated in the second-half of 2018". It blamed the slowdown on the trade spat and tariff hikes between the US and China, besides "a decline in business confidence, a tightening of financial conditions, and higher policy uncertainty across many economies".